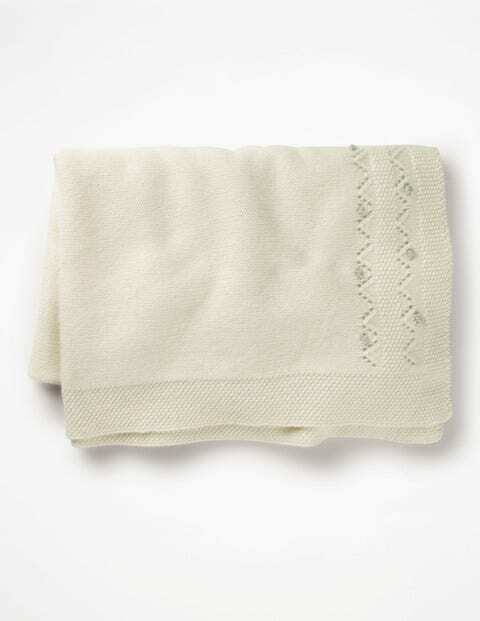 Made of supersoft 100% cashmere, this adorable blanket is expertly designed in Britain and a piece you'll want to treasure. It’s designed to keep baby warm and happy during afternoon naps or morning cuddles. Delicate stitch detailing features all the way around with a contrast border for extra loveliness. This special piece comes in a sweet presentation box – ideal for gifting.